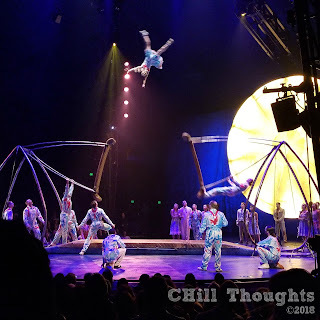 Last night I had the fortunate experience of witnessing, participating, enjoying & being completely mesmerized by the Cirque du Soleil performance of Luzia at Dodger Stadium in Los Angeles, California! What can I tell you about this experience? 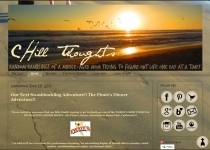 It was awe-inspiring! It was entertaining. It was stunningly beautiful. Breathtaking. Hilarious. Fun. Intimate. And I'd go again tonight if I could! 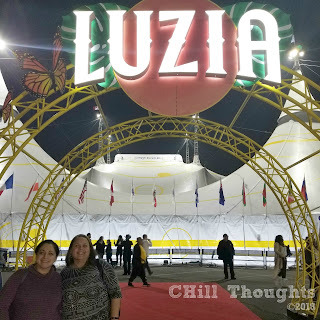 My fellow Mommy Friend and I braved the freeway north through the end of rush-hour traffic to arrive at the Cirque du Soleil big-top erected outside Dodger Stadium just after the venue gates opened. Parking was quick and easy (although my wallet was $25 lighter) and we had a very short walk to the security check point from the car. Once inside, popcorn, hotdogs, soda, pretzels, cotton candy and a nice array of adult beverages were available for theme-park-equivalent prices (no real surprise, but I'd love to be pleasantly surprised with reasonable prices for a teensy plastic cup of wine once in a while). 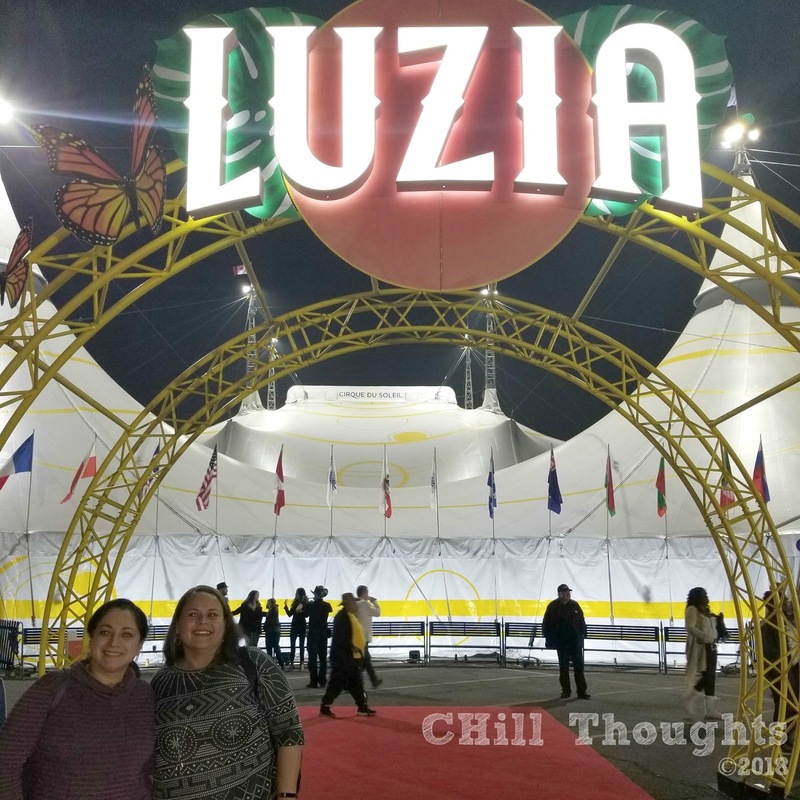 We had a few minutes inside the outer concession and souvenir area of the big top to enjoy our beverages and popcorn before the arena doors were opened. Immediately upon entering the area, I was struck with how intimate and sort of small the whole area felt. Our seats seemed so near the stage I was giddy and immediately began #bragging on social media! We were seated about midway back from the stage in the seating, but I'm convinced there isn't a bad seat in the entire arena! 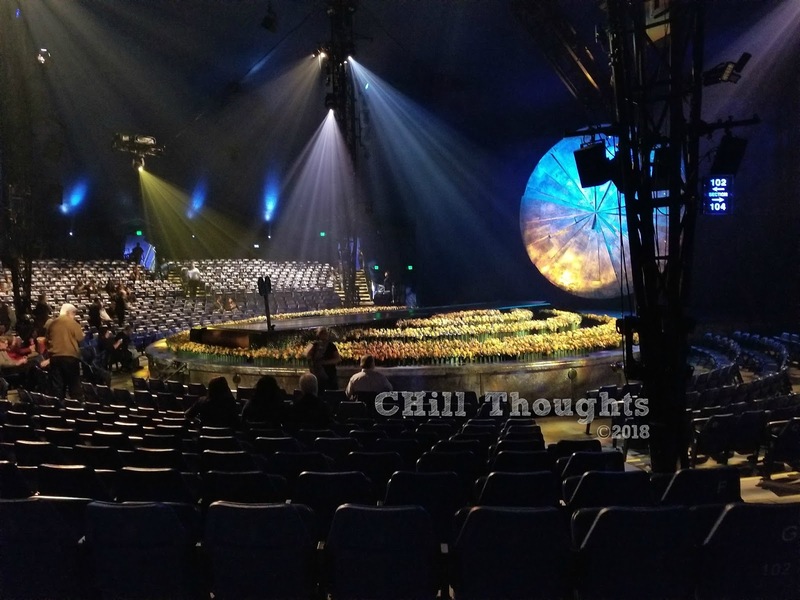 Once the show begins, you're immediately transported to the world that Cirque du Soleil builds around you through music, lighting, sounds and spectacle - setting up shop in your heart and imagination! The momentum and pace builds gradually but logically and before you know it, you've arrived at the mid-show intermission. 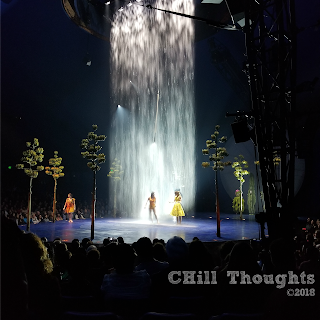 I was so moved by the beauty of the first half of the show that I had tears in my eyes when the lights came on for the short break. The entire performance is narrated in Spanish by a beautiful opera-style singer and the many performers. 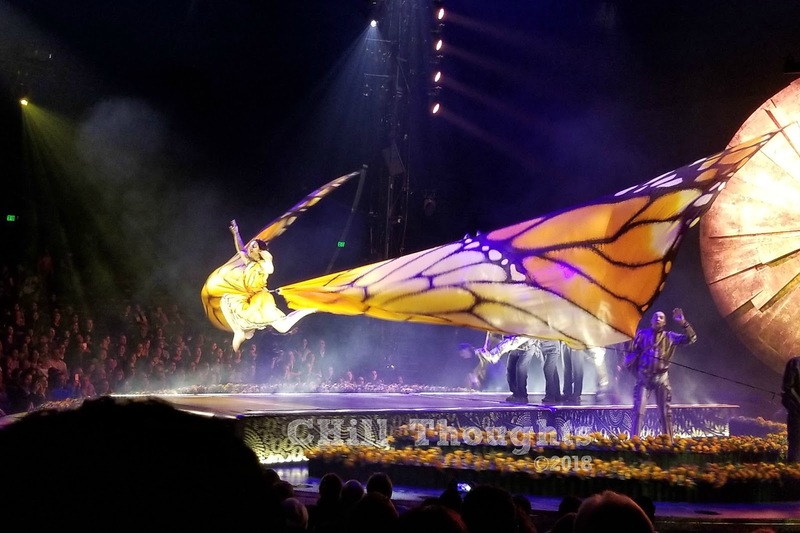 But, English-speakers don't fear...my friend who attended with me speaks fluent Spanish and I never felt like she understood the show or enjoyed it more than I did. The beauty of the performance bridged the language divide completely and left me yearning to explore the Mexican landscape and see the beauty of the country. The second half of the performance was equally as thrilling as the first. I'm convinced you could watch the show many times and never see exactly the same show twice. Now, this is contrary to Cirque du Soleil's overall goal of creating the same performance every night, so please bare with me as I explain. There is almost never just one performer or character performing at a time and they all perform all the time they are on stage, so it's easy to get distracted watching something happen on the "sidelines" and miss some of the main performance. But I really think this is part of the magic of the performance - there's just SO MUCH to see and take in! Before you want it to end, performers are lining up to take their bows and you applaud until you think your hands might fall off! The show was so wonderful nearly all the crowd stood to applaud the performers at the end! I loved it! I wish I could go again tonight! I wish my 6 year old could see the magic and feel as awestruck as I did last night! I don't have a negative thing to say about the production. 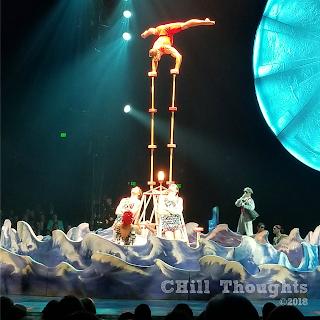 I encourage you to see the show and take your entire family! I might be a bit too loud for the very youngest members of your family, but otherwise I think the show would entertain people of all ages. Enjoy this production with the whole family and save 20% on tickets!